Creating an efficient and pleasing seating and table arrangement can be one of the most stressful parts of planning a party. 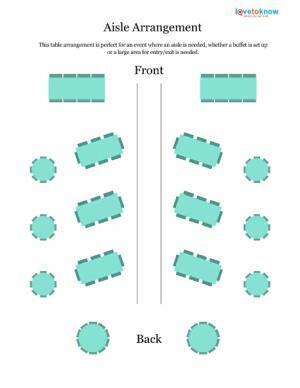 Use templates to stay organized, and to make sure everyone is seated in the right area and can see the main event. Keep track of who is sitting where by using fill-in-the-blank templates. Open all the templates with Adobe Reader by clicking on the image or caption. The templates will download to your computer, where you can edit and save them, or print them out and hand write where everyone should be seated. 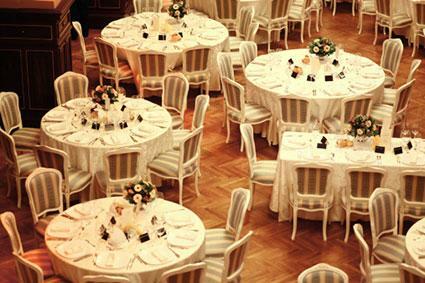 Choose from large tables that seat ten or slightly smaller ones that seat eight. Both of the following tables will seat eight people, however one set includes seating at both ends of the table. 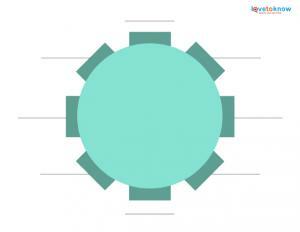 Mix up friend groups by seating several people who know one another next to a few others who know one another. Seat people by what they have in common and shared interests so they have natural conversation starters. Keep people who do not get along separated. Use place cards so everyone knows where to sit. The way you choose to arrange the room depends on where the central entertainment or speaker will be located. 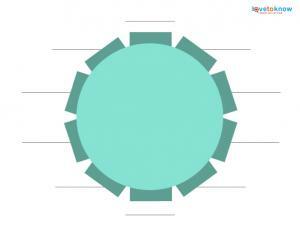 Use the following templates to help you figure out a larger table and seating arrangement for a party or event. 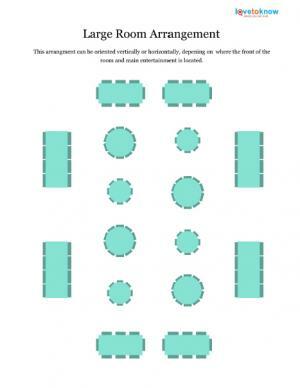 These two printable templates highlight two different arrangements, depending on whether or not the party room has an aisle. 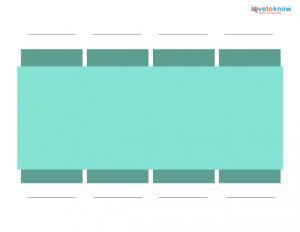 Arrange tables so that people can easily walk around them to reach their own chairs. Having an overall pattern looks better than just randomly placing tables where they fit. Vary the table size, using both small and big tables, to create a more intimate atmosphere even if you have a large number of people in attendance. Number each table in the larger arrangement example. Once you fill in who sits where at the individual tables, you can then assign the tables numbers to correspond with the location in the larger arrangement. This makes it easy to keep track of who is sitting where without trying to cram everything onto one sheet of paper. 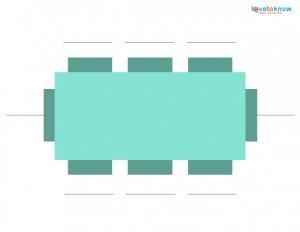 Arranging seating doesn't have to be difficult if you use the proper templates.